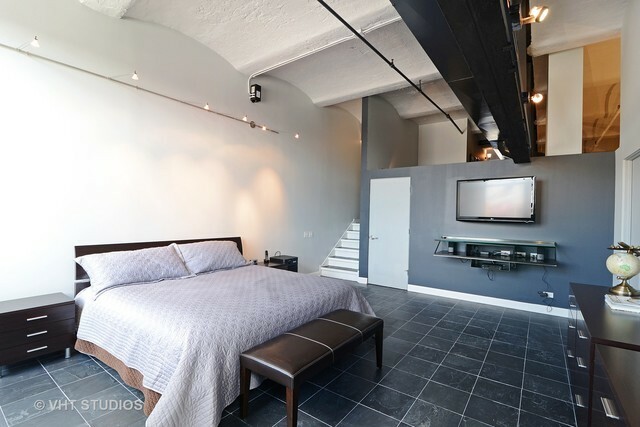 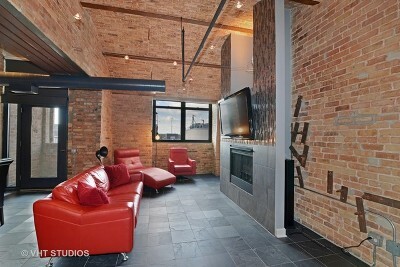 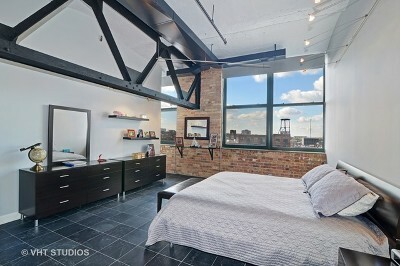 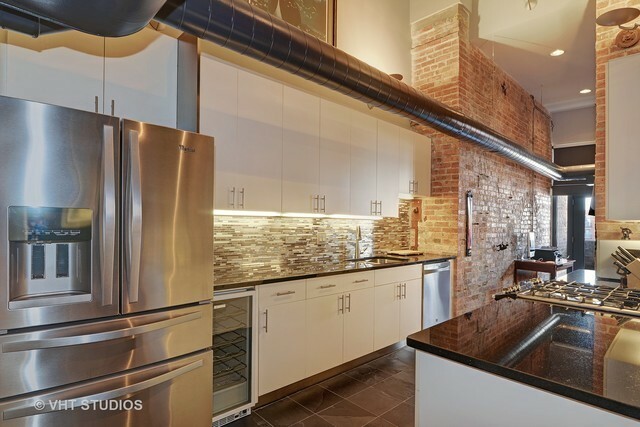 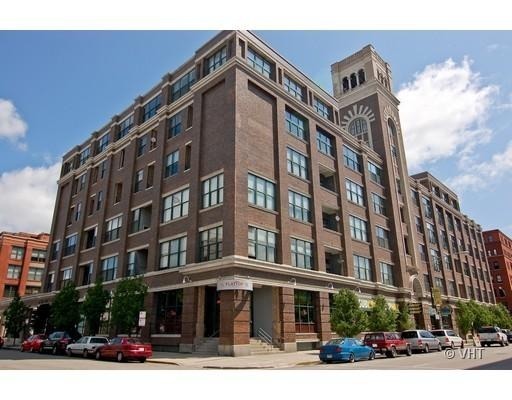 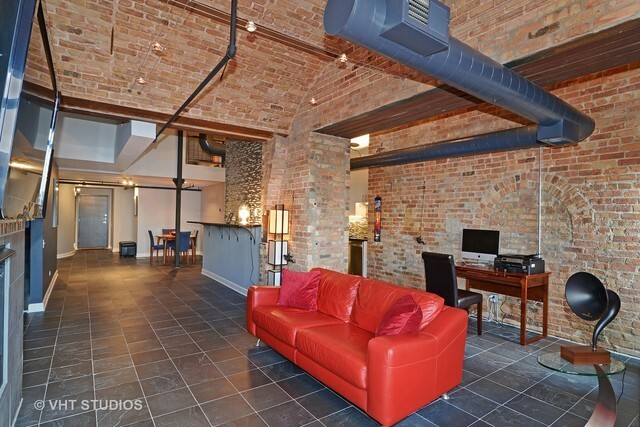 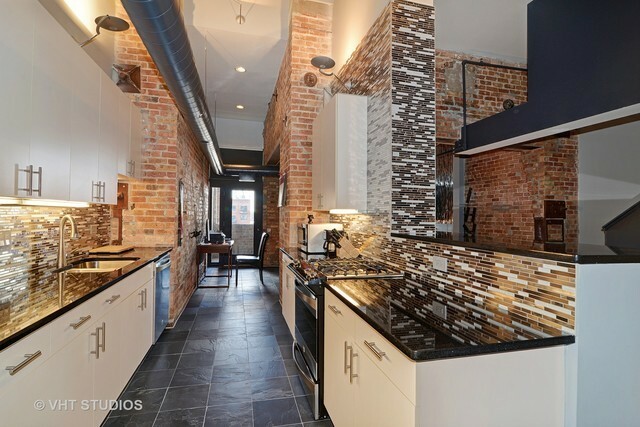 Rare and coveted penthouse loft in the Heart of the West Loop. 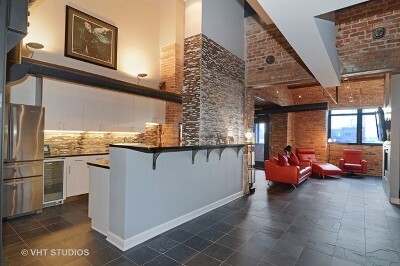 The only floor plan of its kind. 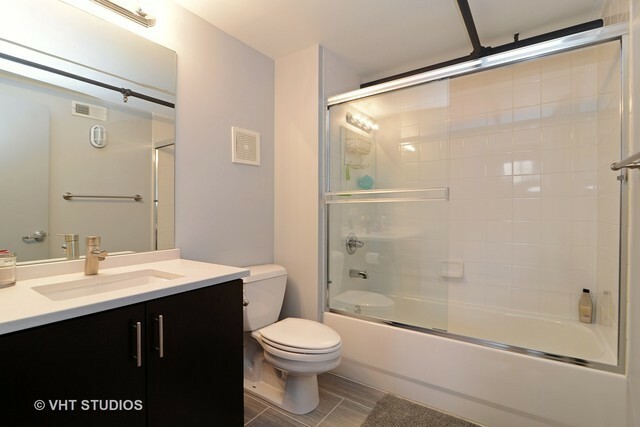 This large two bedroom and den, two and a half bath home features spacious living level w separate dining space, open kitchen with granite counters, backsplash, Stainless Steel appliances, white cabinetry and mosaic tile. 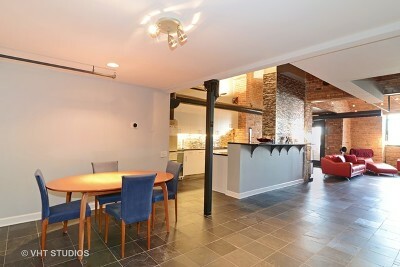 Living room is inside a former Nabisco Baking oven with 14&apos; domed brick ceilings, fireplace, low voltage lighting, small lookout balcony. Sumptuous master bedroom with jutting exposed steel girder, walk in closet, electronic shades. 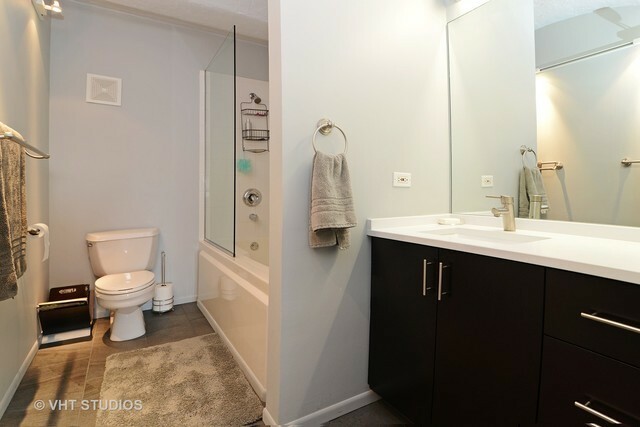 Contemporary baths dressed in Italian porcelain & quartz. New furnace and water heater. 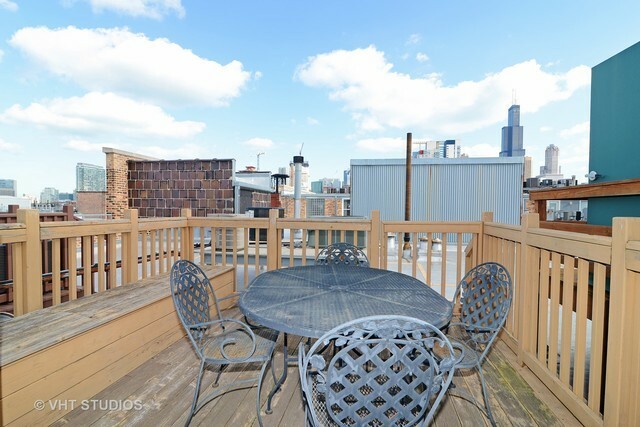 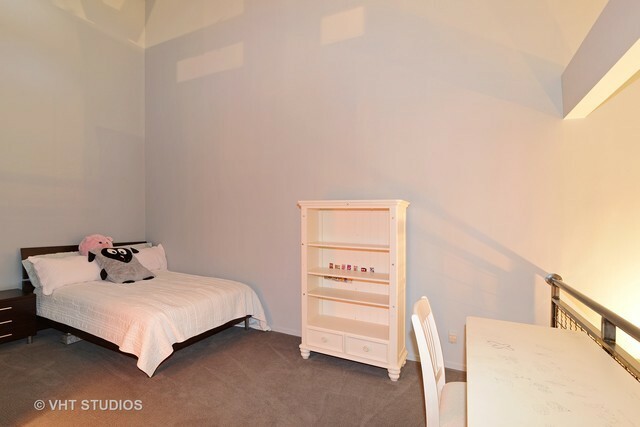 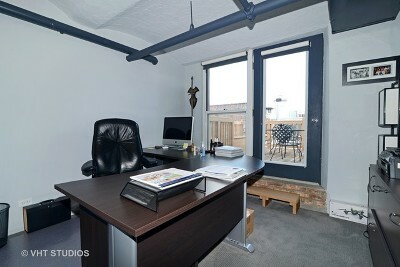 Private roof top deck and heated tandem parking space for two cars@ $40,000.